Nobody puts my friend forward for the state the obvious award as we've already been whisked away by the obvious. It's a Thursday - the twenty ninth day of January to be precise - and after a day of pointing at windows and pleading with teachers to let us outside during class, you'd swear us fifteen, sixteen and seventeen year old's had never seen a flurry of snow in our lives ! And really, we're all too caught up in the snow shower to make a sarcastic comment. Everyone - or at least everyone around me - is pretty delighted for the first minute or so, since this is all they've wanted all day and it becomes one of those situations that you don't expect to last any longer than sixty seconds, so you stand there soaking up the excitement. 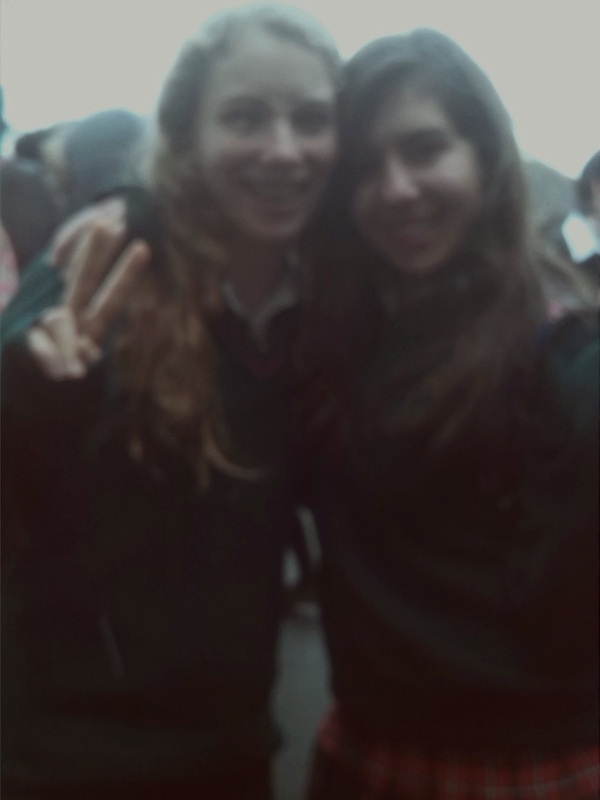 But double the sixty seconds have passed and not only us, but the snow, is still there. We find ourselves becoming a bit of a crash mat for flakes so my friends and I quickly scutter over to a sheltered area, meaning that we won't be one of the first to get a seat inside now, but hey - we're dry .... For about a second. We are not sheltered from the snow at all, so everyone starts going crazy. We're all a bit bonkers anyway, so you can imagine distancing yourself once snow is added into the mix ! 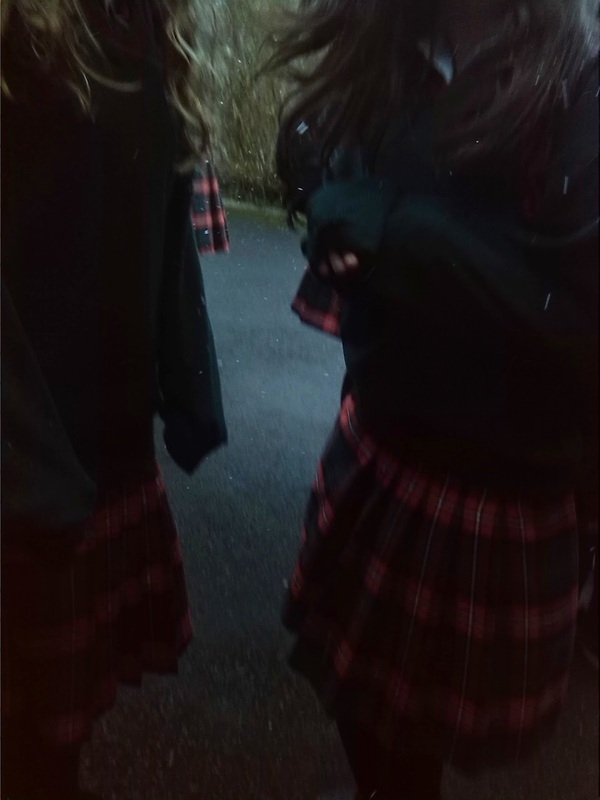 One friend wears her boyfriend's jacket which the snow is now sticking to and she remains quite cold ! A second friend buries her head into the jacket on friend number one. Three friends depict headless chickens as the snow begins to cause havoc for their hair, which they only straightened that morning. A fifth friend wonders when they're going to get their coat back. A sixth friend decides that the novelty is wearing off. And another friend joins us and we wonder how they are not freezing cold without wearing a jacket ! 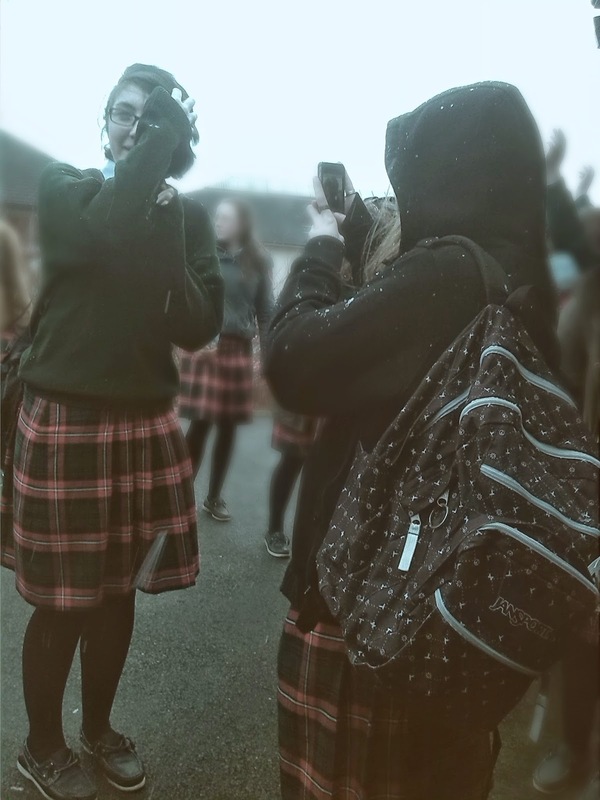 And by now everyone's figured out that neither us nor the snow appear to be going anywhere in the next few minutes, which is when the phones come out and snow selfies, which I managed to avoid, are taken . My friends are quite fun to take photos of, since unless it's a bad day, they have no objection to pulling a silly pose - especially in a snow shower, as I learn. It is said that a picture can speak a thousand words and these ones above most certainly do. It's one of those moments that isn't expected to last as long as it does and the novelty does not expire, instead in changes into a different form of novelty and the energy continuously renews itself. It's not a daze any longer, but it's not too far below cloud nine. It's a dying atmosphere that creates a feeling of being very much alive and when it's over the buzz of the chatter follows through. It fascinates me how several photos can bring back a heap of memories for one person but little to none for the next and how one uneventful moment can mean a lot to one person but is irrelevant to next but I guess the only answer to that is, because all seven billion brains on this planet aren't magnetically linked and I guess that's what Transition Year is like - we're all going to remember it for different reasons and all one hundred and seventy of us are going to have a different experience of the year. That became quite a ramble in the end.